Keeping your wrist at a neutral position can help relieve symptoms of carpal tunnel syndrome. 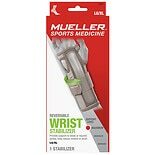 Wrist braces for carpal tunnel can stabilize and support your wrist to prevent discomfort. If you frequently wake up with pain in your fingers or hand, using a night brace for carpal tunnel may be a good option for you. There are also day wrist supports that don't restrict the use of your hand. 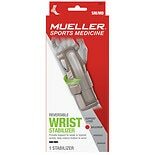 Choose your relief from wrist braces for carpal tunnel from WrisTimer or IMAK. Wrist braces extend over the thumb, and straps offer compression directly on the wrist. Most [wrist braces for carpal tunnel] are reversible and fit on both the left and right hand. If you need a [night wrist brace], keep your arm and hand cool and comfortable overnight with one that's made of lightweight materials. When it comes to [day braces], look for those that don't restrict the use of your hand. Walgreens.com also carries many other types of braces and supports. 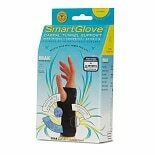 Additional wrist supports help relieve arthritis pain and discomfort from strains. 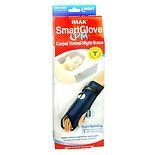 Walgreens.com also carries ankle supports, knee warmers, knee braces, and more to help you stay comfortable and active.